Friends, on Friday, March 1st at 1:00pm EST I’m going live with the Rev. Naomi King to discuss using social media for spiritual practice, setting intentions for how we digital tools, and more! If you are interested in the intersection of social media and spirituality, I think you’ll love this conversation. Join us! Use the attached Youtube player to watch, chat, and share your questions. The Rev. Naomi King is a Unitarian Universalist minister who teaches spiritual practices in person and online. Connect with her and her teaching via the following links. Happy Friday friends. Facebook LIVE office hours (1/18/19) answering some of your questions about digital culture and congregational membership development. See below for 3 upcoming events, 2 Boston area, one online! I’m leading program for our local cluster of religious educators exploring how digital devices are disrupting spiritual growth and development. After my presentation, we’ll discuss the impact on parenting, family interactions, etc… Email or FB Message me if you’re an area religious educator and didn’t get the email through your network. Wed, Feb 13 – Leading Congregations Monthly Live online training. February’s session is going deeper into Facebook Strategy, including report back from my review of how the fastest growing churches in the United States are using Facebook. Learn more. Missed Leading Congregations Monthly January Video Bootcamp? The recording is in the member area. Join us to participate in live monthly sessions and access all previous sessions and handouts. Leading Congregations Monthly in March will be focused on small group based congregational growth strategies. One of my favorite topics! Today’s t-shirt “Providence: Weird Since 1636” is brought to you by my sister, a member of my home congregation, the First Unitarian Church of Providence. Unitarian Universalists leaders in New England, join me at First Parish in Needham, MA on Saturday, Feb 2, 2019, for my next Social Media and Membership Growth day-long training. Social media, smartphones, and non-stop access to the internet has changed how people are researching, exploring, and choosing congregations. To help people successfully connect with our congregations we need to bring more of our greeting, orientation, and education efforts online. We can no longer wait for them to show up in person. We need to show up where they are — online actively trying to determine if your congregation is right for them. To do this, they need your support. Interested in reaching the majority of adults who use smartphones and are digitally oriented? Join us for this day-long training designed to help bring your membership development efforts in line with today’s digital culture. 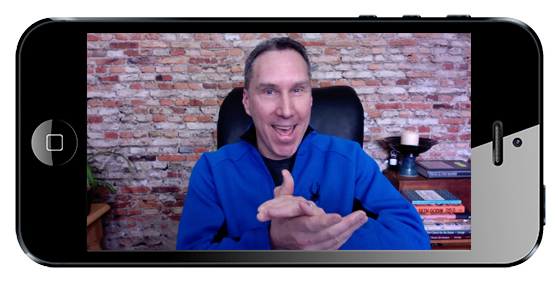 Friends, my new LIVE monthly training program has launched! Join us to participate in monthly live trainings sessions designed to help you lead and grow your congregation. You may also access session recordings and supporting materials in our member area. It has never been easier to infuse your congregation with new ideas, strategies, and energy. That’s right! We’re going deep into strategies for using video to communicate, engage, and inspire. We’re talking simple videos anyone with a smartphone can make. 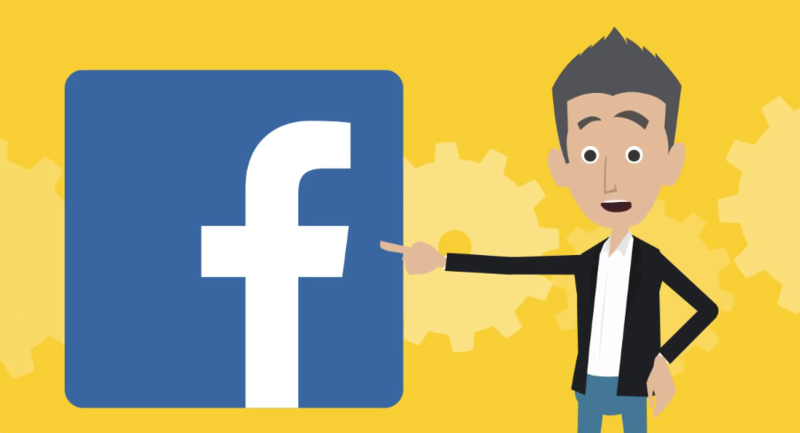 Facebook has made massive changes which have hit congregational pages hard. From prioritizing groups to new policies on issue advertising. In this session we’ll cover Facebook strategy best practices, as well as look at emerging challenges — like the balance of using pages versus groups. Friends, here’s the first part of my recent webcast on Social Media and Membership Growth presented to Canadian Unitarian congregations, sponsored by the CUC. You can watch the full session here. In this Facebook Live conversation with Laura Beth Brown and Peter Bowden we discuss “Embracing Family Ministry” based on Laura Beth’s popular workshops and role as Director of Family Ministry at Beacon Unitarian Universalist Congregation is Summit, NJ. We discuss how her congregation’s approach to family ministry is drawing inspiration from the book “Salsa, Soul, and Spirit: Leadership for a Multicultural Age” by Juana Bordas and what some of the resulting changes look like. From my discussion with Laura Beth in preparation for our interview, I learned that she leads workshops related to volunteer/stewardship strategy and creating a spirit of generosity and therefore, sustainability in our congregations. Scroll down for more on Laura Beth Brown and links to people and resources mentioned in this video. You may also watch this on my UU PLANET Youtube Channel. Laura Beth Brown is a 500-hr Registered Yoga Teacher with Yoga Alliance, an amateur grill chef, and the Director of Family Ministry at Beacon Unitarian Universalist Congregation in Summit, NJ. She is primarily a vinyasa and prenatal yoga instructor with a therapeutic yoga lens and has certifications in Prenatal, Children’s Yoga, and Off The Mat Into the World (the bridge between yoga, self inquiry, and effective community action). As a singer/song-leader and harmonium player, she also leads call-and-response community singing known as kirtan, a form of Bhakti yoga, or the yoga of devotion. As a yogi, Laura Beth leads workshops in Bhakti Yoga, Prenatal yoga, and Conscious Activism. In role as a religious educator, Laura Beth has led 12-hr workshops on Embracing Family Ministry with her Ministerial Supervisor, the Rev. Emilie Boggis, at this year’s Center Institute for ministers, and then again on Star Island for religious educators. Just last month, she presented at LREDA Fall Conference as well. She also leads workshops on volunteer strategy called Stop Recruiting, Start Retaining as a means of collective sustainability for congregations. The blog by Rev. Emmily Boggis “Reflections on Parenting in the Pew” may be found on the home page of the Beacon Unitarian Universalist Congregation website. Peter Bowden’s UU PLANET Facebook group for Unitarian Universalist congregational leaders, staff, and religious professionals. As always, please share this post with others who might appreciate this conversation. I'm a keynote speaker, trainer, and coach specializing in community building and digital life. I help strengthen communities, congregations, and other organizations using small groups, social media, and other connecting strategies. More on my work with children's television.